‘I don’t care what the UN says!’ Netanyahu vows to continue illegal settlement activity | It's Only Natural To Resist. RT – The Israeli prime minister has vowed to continue building settlements in the “Israeli capital of Jerusalem,” defying near-unanimous international criticism of the illegal activity in retaliation for Palestine’s upgraded UN status. ­In an interview with Israeli Channel 2, Prime Minister Benjamin Netanyahu threw internationally-recognized boundaries to the wind, saying that the Western Wall, which lies in a part of UN-administered Jerusalem occupied by Israel in 1967, “is not occupied territory” – and that he “does not care” what the United Nations has to say about it. Netanyahu added that all Israeli citizens live “in the Jewish state,” and that “the capital of the Jewish state, for 3,000 years, has been Jerusalem,” as cited by the Jerusalem Post. He went on to defend the planned construction of settlements near Jerusalem – in Gilo, formerly West Bank land occupied by Israel in 1967, and Ramat Shlomo, which was taken from Jordan the same year. “What future awaits Israel if we cannot build in Gilo and Ramat Shlomo?” he said. Both of the planned construction sites are situated within the Israeli-drawn boundaries of Jerusalem, but outside the “green line” segregating Israel from the West Bank. The schemes to build there, in the E1 area east of Jerusalem, and in the Ethiopian Jewish community Givat HaMatos have brought international criticism and condemnation of the Israeli administration. “So we, the state of the Jews, cannot build in our capital? I don’t accept that,” Netanyahu said during the interview, as reported by AAP. The prime minister also pointed to the fact that the expedited construction plans are retaliation for the Palestinians’ upgraded status at the United Nations. Regardless of Israel’s claims to Jerusalem as its capital, the international community recognizes Tel Aviv as the capital of Israel, with no country having an embassy in Jerusalem. At the same time, Palestinians claim East Jerusalem as the capital of their future state. The Israeli prime minister has repeatedly accused Palestinian President Mahmoud Abbas of obstructing peace talks. Abbas has refused to negotiate unless Netanyahu and his government adhere to certain preconditions, among which is falling in line with international law by way of a settlement freeze. 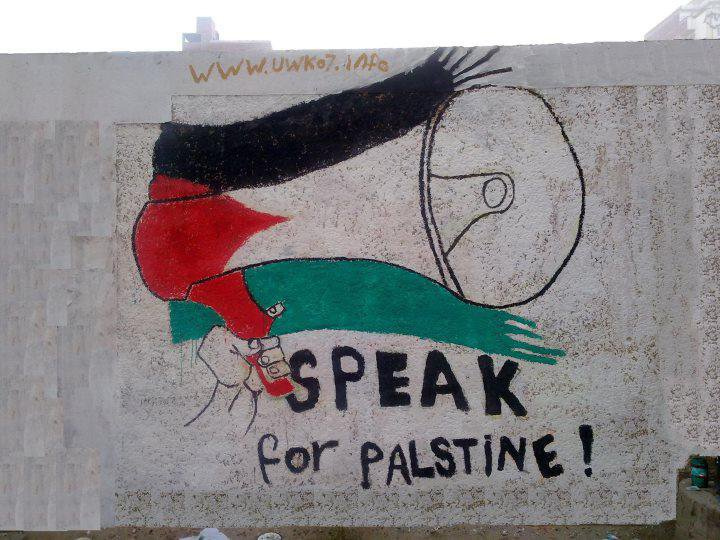 This entry was posted on December 24, 2012 by ispeak4palestine. It was filed under Articles on Palestine and was tagged with Benjamin Netanyahu, Illegal, Israel, Jerusalem, Middle East, Palestine, Politics, UN, United Nations.